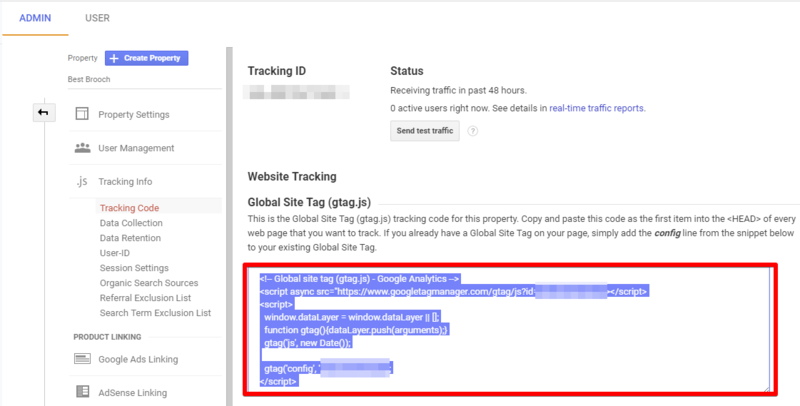 If you want to check all your traffic stats on site dashboard, you need to integrate your Google Analytics code into the plugin. 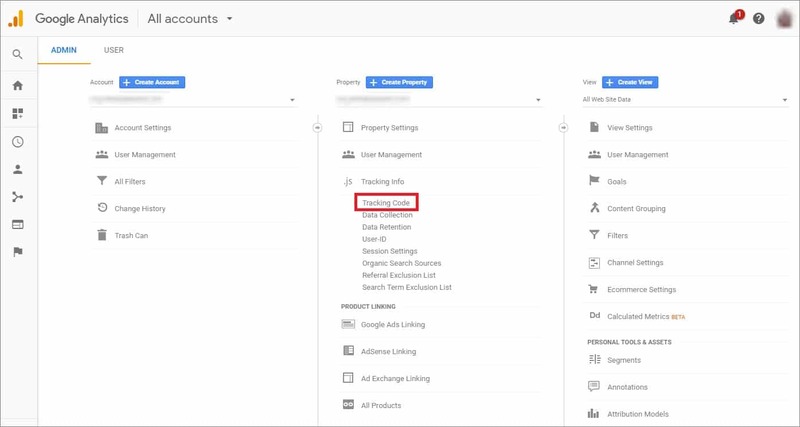 If you do not have a Google Analytics account, you can easily create one for free on the Google Analytics website. Click here to access Google Analytics. 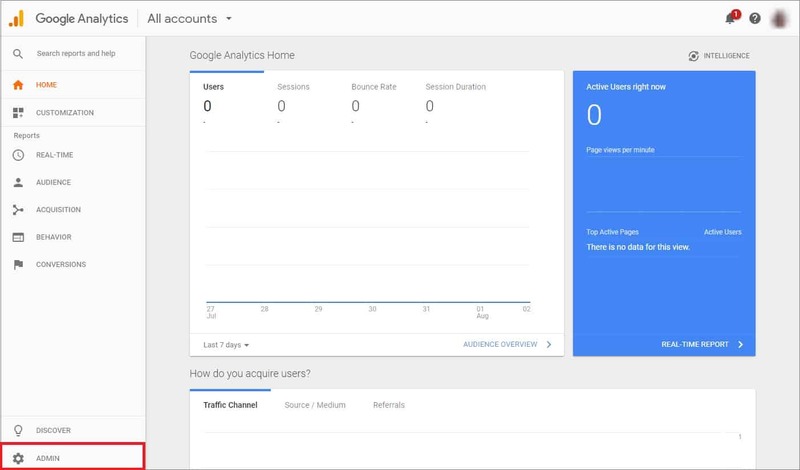 If you have a Google account, and are not signed in, click Sign in to Analytics. If you do not have a Google account, choose Start for free. Once you have signed in to your Google account, fill in your Account Name, Website Name, Website URL, and select an Industry Category and Reporting Time Zone. 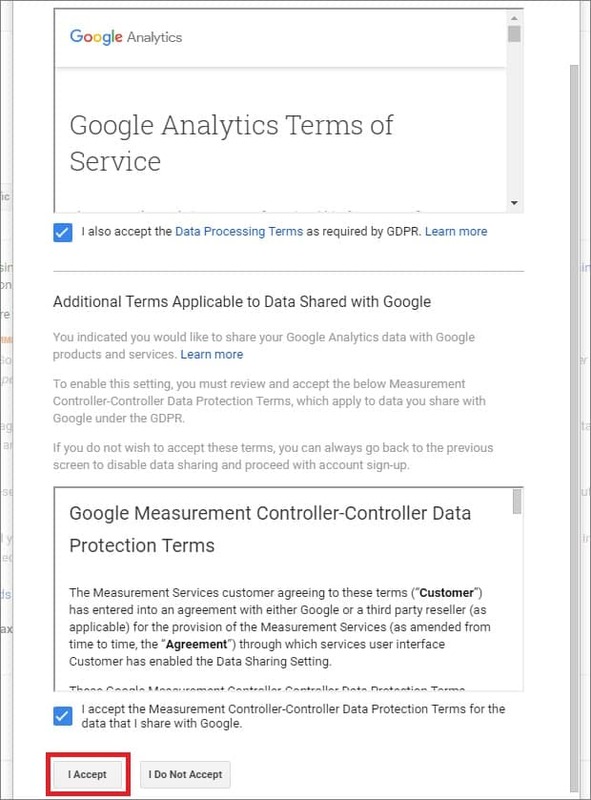 Under Data Sharing Options, check the boxes next to the options that you want to control. Click Get Tracking ID. 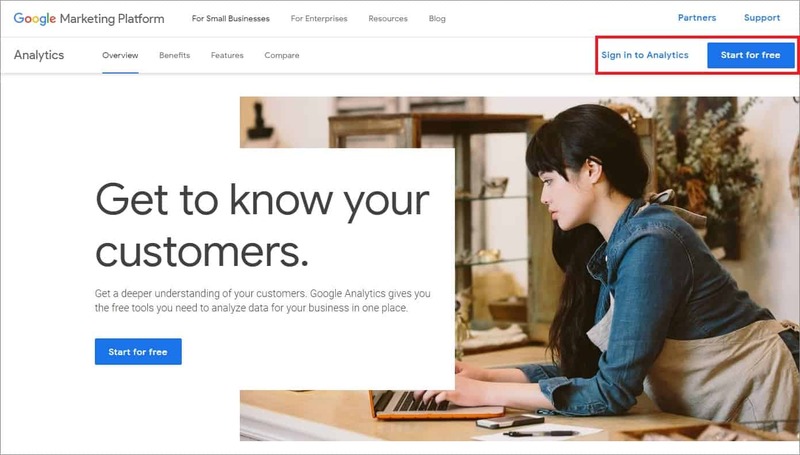 Sign in to your Google Analytics account. Click Admin at the bottom of the page. Go to the Property section => Tracking Info. 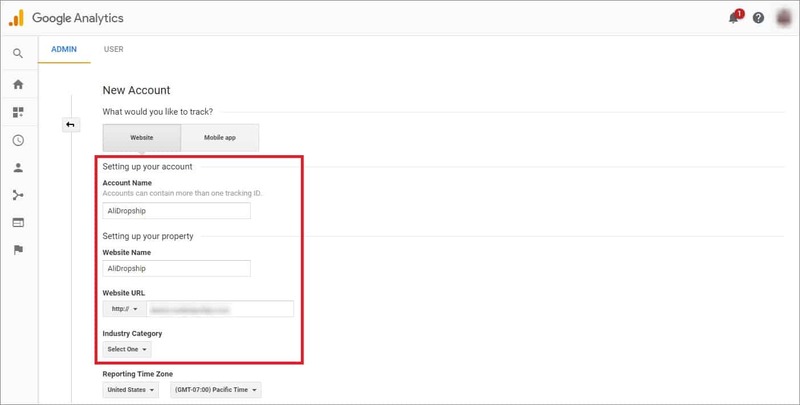 Click Tracking Code in the drop-down menu. Copy the script below Global Site Tag. 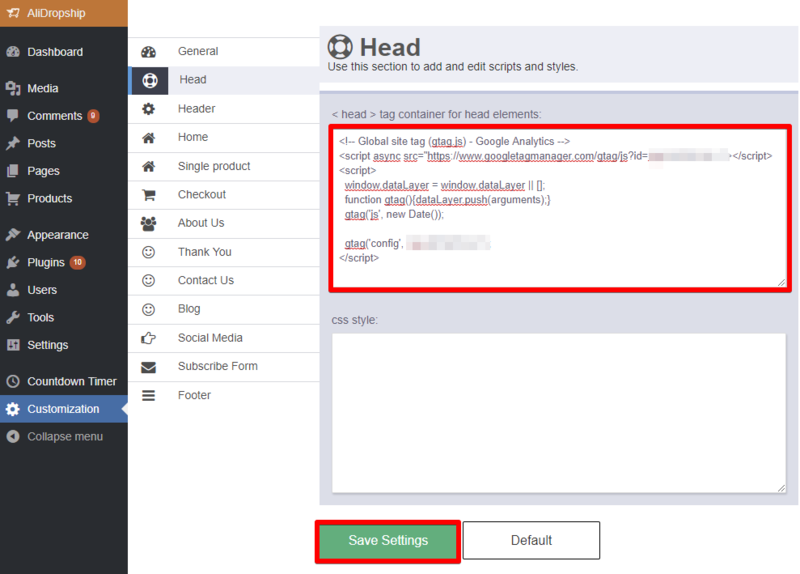 Go to your site WP dashboard => Customization => Head and add this script in < head > tag container for head elements => Click Save Settings. 1. Go to WP dashboard => AliDropship => Reports => Traffic Report. 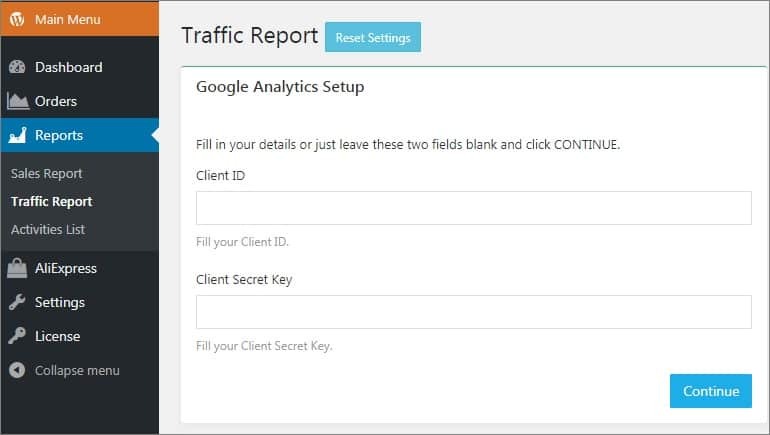 Fill in your Client ID and Client Secret Key (if you want to connect to Google Analytics using your Google APIs ) or just leave these fields blank and click Continue. 2. On the next page click the Get Access Code link. Sign in your Google account. Click the Allow button. You will see your access code. Copy this code, switch back to AliDropship dashboard and paste it here. Click Save Changes. 3. Select your website and click Continue.